The Dodgers tied the game against Pirates closer Tony Watson in the bottom of the ninth with a single by Cody Bellinger. Then came the bottom of the 10th inninf sor the home team Dodgers. 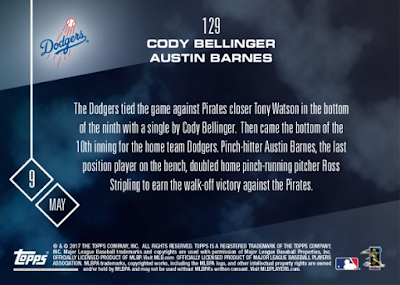 Pinch-hitter Austin Barnes, the last position player on the bench, double home pinch-running pitcher Ross Stripling to earn the walk-off victory against the Pirates. 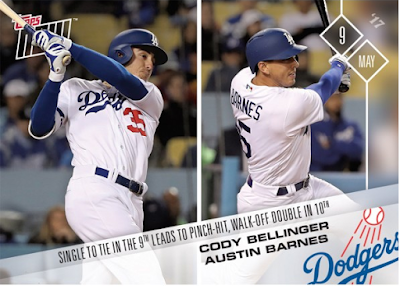 UPDATE: The print run for this card is 416 cards.